While there are numerous subcompact crossovers available for you to choose from this year, you may find that few live up to the stellar standards that the 2018 Honda HR-V sets. This vehicle is a true leader in its class, excelling in the areas of safety, modern features, style and performance. When you compare the 2018 model against the 2017 model, you may notice that the new model is relatively unchanged. The only minor differences to note are the addition of Aegean blue as an exterior color option for 2018 and upgraded wheels for the higher trim levels. Before you can finalize your plans to buy the 2018 HR-V, you must examine the differences between the three trim levels available. 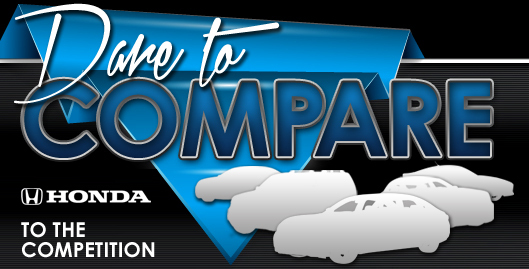 From the lowest trim level to the highest, the options are the EX, the LX and the EX-Navi-L. With these trim levels, you will find that all are well-appointed with an excellent range of comfort and convenience features that improve your time on the road. 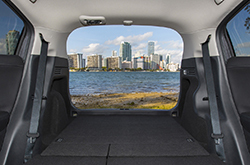 The entry trim level offers wonderful features such as climate control, a powerful sound system, a backup camera, a multi-angle rearview mirror, rear Magic Seats with a split-folding design, 17-inch alloy wheels, power locks and power windows. If you choose to buy a mid-range trim level, your LX will include all EX features as well as upgraded wheels, heated front seats, heated mirrors, smart entry, keyless ignition, auto climate control, a lane drift deterrent feature and more. Buyers who choose the EX-Navi-L trim will benefit from all of these features as well as HD and SiriusXM radio, leather seats, roof rails, a navigation system and more. 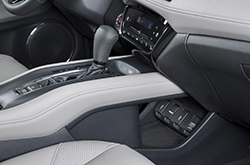 Remember that you can customize all trim levels with your preference of eight exterior and two interior colors. A trip to Delray Honda gives you the opportunity to check out the trim levels in person. The 2018 Honda HR-V is a fun car to drive because of its exceptional powertrain and mechanical features. You will love the superior power of the four-cylinder, 1.4-liter gas-powered engine. This engine delivers 141 horsepower and 127 foot-pds. torque. In addition, all trims can be purchased with a two-wheel drive or all-wheel drive transmission with the option of having a continuously variable transmission for improved power on the road. Some of the other features that you can learn about when you test drive the HR-V at Delray Honda are variable valve timing, traction controls, stabilization controls, direct fuel injection and an independent suspension. One final factor that deserves a closer look before you decide to buy the HR-V is safety. The 2018 HR-V excels in this area, and proof is found in its NHTSA safety test results. 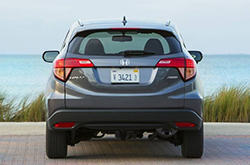 In the NHTSA's overall safety category, the 2018 HR-V received five out of five stars. * The IIHS also reviewed the HR-V in five test areas, and this SUV generated the highest score in three out of five tests. Regardless of the 2018 trim level that you choose to buy, you will feel safe and secure on the road thanks to a full range of standard safety features. These include a multi-view rearview mirror, a backup camera, fog lights, daytime running lights, a tire pressure monitor, Hill Start assistance, four-wheel ABS, solid rear disc brakes, front ventilated disc brakes, a blind spot warning feature, engine immobilization, child safety seat latches and door locks in the rear row, lane drift alert, airbags and a deactivating sensor for the front side airbag. After you stop by Delray Honda to learn more about all of the features and benefits of the 2018 Honda HR-V, you will see why this is the right SUV for you to buy.